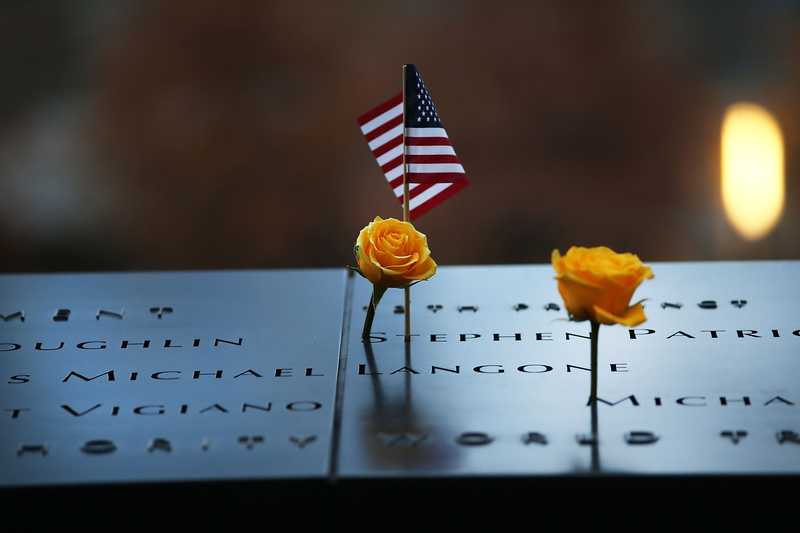 Friday marks the 14th anniversary of the 9/11 attacks, a coordinated, horrifying event that left nearly 3,000 people dead, and which remains the deadliest act of terrorism in history. But if you were in Manhattan on Thursday, you might have seen a rainbow seemingly emerging from Freedom Tower, the building that sits on the site that for years was merely known as Ground Zero. Depending on where you were in the city, the long rainbow seemed to "start" in other areas, but Ben Sturner of the Leverage Agency captured several powerful photographs of the rainbow "coming out" of Freedom Tower. "Amazing NYC Rainbow today. Originating from #worldtradecenter the day before #911," Sturner wrote on Twitter on Thursday morning. Later, he posted more photos: "#magicalrainbow few more photos I took of the Rainbow originating from World Trade Center the day before 9-11." The image is heavily symbolic. Although most of the New York seen in the shot is dark, the brightness of the rainbow — which stretches out from Freedom Tower well into the distance — stands out against the muggy gray of the day. It's reminiscent of the Tribute In Light, two columns of bright light that memorialized the Twin Towers for one year after the attacks, and are still used each year to honor those who perished that day. The Tribute, which is scheduled to display again this Friday night, evokes many of the same emotions as the rainbow.